All of us know AR Rahman's songs will not be liked within first few listening. OK Kanmani is not an exception. If his songs are liked in the first listen, the chances are very less for the album to be a great hit. Because if the song is liked in the first listen, it means that tune is heard sometime before. If we do not like the song in a first listen, then it should be a fresh tune which we haven't come across. Mostly ar rahman comes out with very rare and unheard tunes and the songs will not register in our mind for the first few listening. Only after few listen, the songs will register to our mind and we go crazy over his songs. The same happened even for I songs. None of the songs registered in my mind initially. But now i go crazy over all the songs from I. Alright let me speak about Ok Kadhal Kanmani Songs now. After 2 and a 1/2 years, AR Rahman and Manirathnam combination album OK Kanmani released on April 4, 2015. As usual none of the songs registered in my mind except mental manadhil (male version), because it was released as a single earlier itself. I was really disappointed after listening to the album. But slowly after multiple listen i started to like all the songs very much. Mental Manadhil female version is really a killer version. Wow! what a technical brilliance? This song is really a youth anthem. The female version with male voice as a punch and the classical rendition by jonita gandhi is simply awesome. It was very surprising to listen these kind of songs from AR Rahman. Normally these kind of rap are used only Harris, Yuvan and other composers. ARR has never done such stuff before. But still the song is unique in AR Rahman's style. The music arrangements are really good. It is more of a quirky number. I am happy that arr has composed this kind of song. Now the only genre left for the genius is typical thara local kuthu number. So far ARR hasn't done a thara local kuthu song. If that is done, there is no genre left in this world which arr cannot compose. This is a very breezy number. Nice to listen on car during night times. A feel good romantic number. This is one of my favorites in the album. Only arr can compose these kind of song. The song doesn't have much of music. But still its very nice. 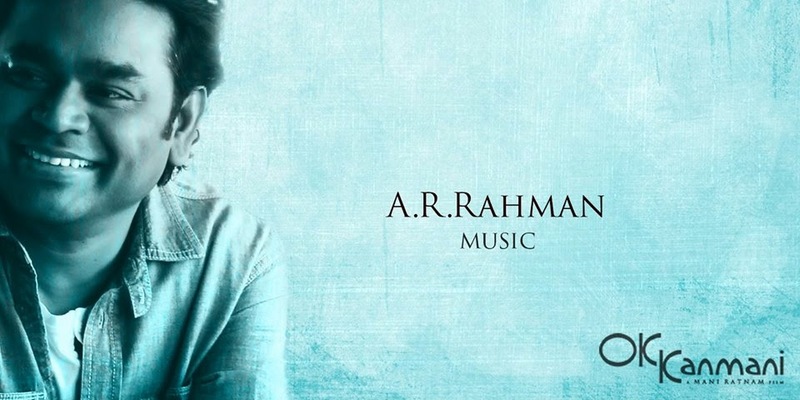 ARR said in an interview that the music for this song was composed using an app from ipad. Since the song was shot inside four walls, he doesn't want to add more music. But still the song is very unique and stylish. A beautiful carnatic number fused very well with mridangam strokes and electronic beats. ARR's voice in this song reminds me of If i rise from 127 hours. It is a trance and techno based song which will go well along with the visualization. These kind of experimental songs are possible only by ARR. Its simply superb. This song is rendered by Jonita gandhi in a classical sytle which adds more beauty to the song. Male vocals add more mileage to the song. It is surely a killer version. After a very long time, we got a chance to hear chitra's voice in arr's composition. A very good classical number supported with very limited music. It is really a soothing feel good number. AR Rahman's voice at the end of the song makes it more special. A traditional Islamic composition rendered by AR Rahman's son AR Ameen. It is an arabic song in the praise of Allah. AR Rahman said in an interview, this song was done for his personal use and Maniratnam requested this song for OK Kanmani after listening to it. I am not sure if this song will be present in the film. However its a very nice song. I keep listening to it in loop mode. AR Ameen has a good scope in future. Rating: I am not a critic to give any rating for the genius composition. However my personal rating is 9 for this album. If one feel good romantic number had been included, i would have given 10/10. stupid reviewer. if he has composed such song again, you will say he is doing the same thing. always expect some difference. the songs are great. AR Rahman is a god of music and he will never miss anything. the songs are world class. listen properly.